I CANNOT SPREAD THIS MESSAGE ENOUGH. A MILLION TIMES WOULDN’T BE ENOUGH. 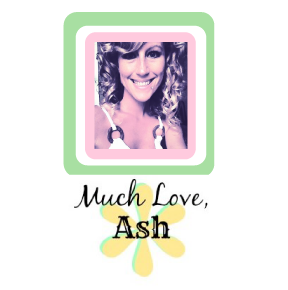 Too many children with Autism have met an unfair, tragic fate because there aren’t enough people aware of the very real fact that many individuals with autism wander. 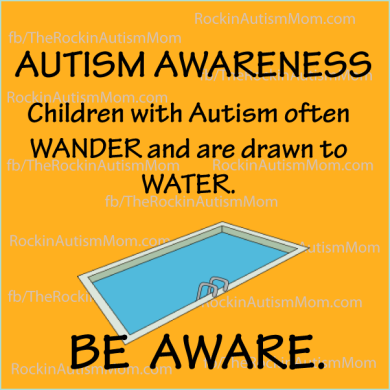 On top of that extremely terrifying fact, many autistic individuals are drawn to water and a lot of these individuals do not know how to swim. I URGE you to share this information and these links with everyone you know. 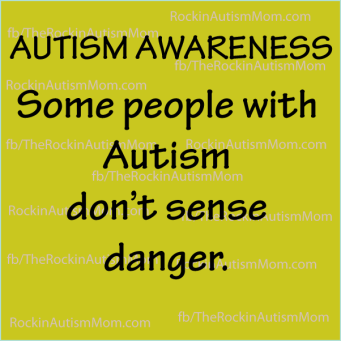 If more communities are aware of the dangers autism families face then I truly believe there would be less innocent angels dying due to wandering. 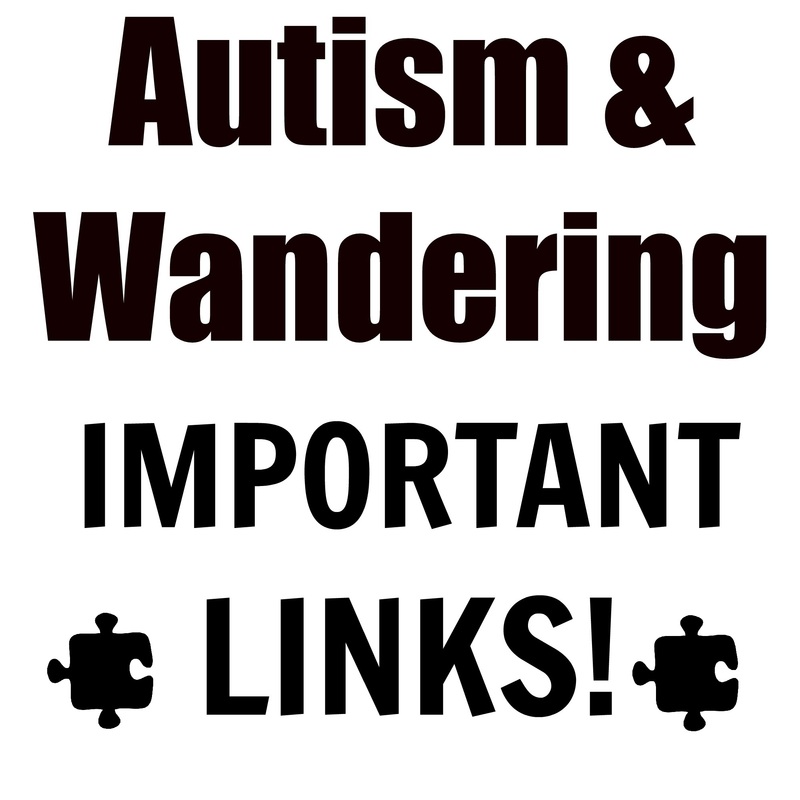 Related posts- Autism & Wandering. 3 Children Gone.